Sports drafts today are no longer something to read up on the morning after. Watching every development from the time the players arrive at their college training camps is almost a sport of its own now. 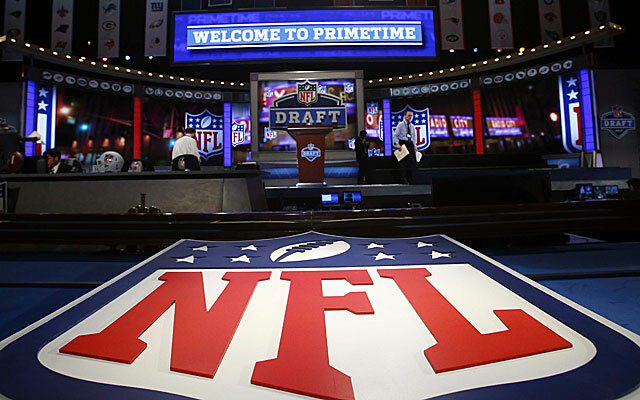 There is an endless thirst for information about what the draft will do; fans of bad teams want to see where their hope may lie, and those on dominant teams want to get some personnel to stay on the winning track. So we pore over every bit of information we can find, trying to identify the best choices for our teams to get a kick-start on our expectations. Here’s the framework of sports news sources for most eager draft watchers. No other medium better covers the draft than the one that also covers the resulting games. And it’s no longer your grandfather’s draft–a long evening of cigarette-chugging GM’s picking up chunky corded phones and making last-minute deals. Instead, everything from the earliest combines to the final word to Mr. Irrelevant gets air time; if you compare service from Direct TV to what carried Terry Bradshaw’s selection or even Eli Manning’s, you’ll see that the quantity of information available with immediate updates and amazing breadth of coverage today makes older drafts look like the 100th customer celebration at a small-town grocery store. Today’s graphics power is unbelievable too. The always-showing score and time features on modern sports broadcasts reflect the improved resolution and clarity of modern TV signals and the sets (there it is again!) that receive them. With these sharp features–and massive screens to show them–we now have broadcasts filled with an endless array of scrolls, charts, timers, and teasers for upcoming features. Like watching one week of a soap opera, a cursory glance at the show gets you up to date almost instantly. What do you watch when the TV can’t come with you? Your mobile device, of course. Television does a great job of bringing it to you quickly and accurately–when you’re able to get to your set. (Remember when TV’s were called “television sets”?) But in between, such as when you’re at work, driving, or undergoing surgery, you can’t get access to sports broadcasts with any kind of breaking news about breaking bones. So you tote your phone or tablet, and you monitor for breaking news about players, trades, and general wishy-washy GM behavior. Because these devices are interactive, you can zero in on the details that matter to you. This is a nice enhancement to watching TV; let the second-string brain cells monitor the broadcast while you swipe and scroll through the details on your favorite teams. The poor, poor newspaper. Perhaps the most high-profile victim of the proliferation of online news and entertainment, the daily rag has taken on an image of being too slow and too unhip. But that image is far from the truth. As years have passed, newspapers have begun to incorporate social media, online content, and reader interaction to make their products more interesting and informative than ever. And when there are many column inches to fill on a daily deadline, newspaper writers can provide some compelling content on very short notice. Hence these are the writers who may be the quickest and most insightful when breaking stories emerge, because they are accustomed to processing news quickly and getting it published. So! Your slippered trip to the front walk each morning can provide a lot more information than you give it credit for. Besides, how do you hang up a screen capture on your basement wall when your favorite goes #1? The long and short of it is this: Whatever you want to know, and whenever you want to know it, you can find some means of accessing that information. There’s no reason to miss one iota of information about the draft. You’re on the clock. April 30th is almost here.